BRING your calendar with you to the auditions to write down you unavailability on your audition form. Rehearsal schedule will be created based around this IF you are cast. Pick one audition date to attend. Rehearsal schedule based around submitted conflicts. NEW: Please email or call us to let us know which date/time you are coming to audition. Click HERE for audition form for ANNIE. Call for ages. Prepare thirty-two (32) bars of a song that best fits the style of the show and demonstrates their musicality and vocal range. An accompanist will be provided; please ensure your sheet music is already appropriately marked and easy to read with cuts made for the accompanist. Please no a cappella. All auditioning will be asked to do cold readings from the script. Please wear or bring comfortable clothes and appropriate footwear for the dance portion of the auditions. You will be asked to learn some choreography for this portion of the audition process. Ages 8-21 youth with special needs/disabilities and their peer mentors without special needs/disabilities. NEW: Please email or call us to let us know which date you are coming to audition. Click HERE for Penguin Project Application forms. Auditions will be by appointment, in ten-minute slots. – Provide a recent head-shot and performance resume. – Prepare one 32 bar cut of a classic/standard from the 1950s-1960s musical theatre repertoire. Be familiar with the score as you may be asked to sing selections from The Music Man. – Audition forms will be provided at auditions. Please arrive 10 minutes early to fill out an audition form. Click HERE for Summer Musicals Application forms. May 14 at Neidig Memorial United Methodist Church, 1251 Highland St. Steelton, PA 17113. Ages – 7th Grade to Mid 20’s. BRING your calendar with you to the auditions to write down you unavailability on your audition form. 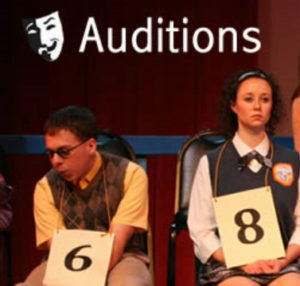 Please review HCPAC’s audition info HERE. Open Stage of Harrisburg is holding general auditions for its upcoming 2018/2019 Season. Rehearsals and performances in Harrisburg, PA. Non-equity. Compensation paid. Saturday, June 9, 9:00am-6:00pm and Sunday, June 10, 12:00pm-7:00pm. If you are auditioning for the musical or cabarets, please prepare 32 bars of a musical theatre song. An accompanist will be provided, please do not sing a cappella. All auditioners should prepare a one-minute contemporary monologue. Please bring a headshot and resume. Children may audition. Children under the age of 12 should prepare a joke or story. ***All actors 18 and under must be enrolled in Open Stage Studio/School starting Fall 2018 (scholarships available). Auditions will be held at Open Stage of Harrisburg, located at 25 N. Court St. Harrisburg PA 17101. The theatre is located on the street level of the Walnut Street Parking Garage. Street parking is free on Sundays and after 5pm on Saturday. Get up to four hours of free parking on Saturday with the discount code LUVHBG on the ParkMobile app. Please click the link below to sign up for an audition slot. If you are unable to attend any of the auditions listed, please feel free to submit all materials, including videos, to casting@openstagehbg.com.